Roughly nine months ago, Salah was in the form of his life. Scoring decisive goals against Manchester City in the quarter-finals of the Champions League elevated him into the Ballon d’Or conversation. We then saw Liverpool take on Roma in the semi-final where he arguably produced his best Liverpool performance to date, with two goals and two assists in a 5-2 win at Anfield. 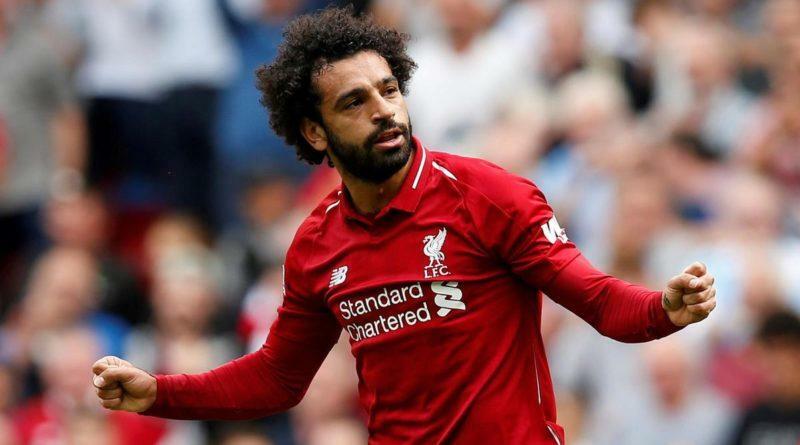 All the while, Salah was on an incredible scoring run in the Premier League, finding the net 13 times in nine appearances (30th January to 21st April); the turn of the year saw the Egyptian go up another gear. Unfortunately, the same cannot be said for this season, where 2019 has seen Salah’s scoring slow down massively. Four goals in 13 appearances tell it’s own story for a man who has been so prolific in his career so far. Salah even reached 50 Liverpool goals in the same amount of appearances (72) as Fernando Torres, scoring twice in the 4-3 win over Palace in January. The goals have dried up since, with Salah on a seven-game goalless run (his longest drought since joining in July of 2017) but is this a dramatic fall from grace or drastic overreaction? Almost everyone has had their say, “he’s taking too long to think”, “he’s not acting on instinct” and “he’s just lacking confidence” are the most cliched, overused responses by most of the media but Salah’s lack of goals shouldn’t concern you. While stats often don’t tell the full story, Salah’s 16 shots in the last four games show he isn’t shy of pulling the trigger. As is often the case with low confidence, you may work for a better, more favourable angle but this isn’t true of Salah. Topping the shot total chats with a huge 106, more than half of which have been in the penalty area, this speaks volumes about the type of player he is. Coinciding with Sadio Mane’s hot streak, Salah’s goal drought hasn’t affected Liverpool all that much. The Senegalese sensation has carried the team in recent weeks, scoring 11 goals in 11 games, despite having played 800 minutes less that Salah. Fatigue certainly could factor into Salah’s drop-off as well making this international break perfectly timed. Not long ago Sadio Mane was experiencing the same feelings Salah is probably feeling right now, as he scored just three times in 17 matches between September and December. Likewise, many other Premier League players have gone on barren runs, catching much less attention given Salah’s explosive first season on Merseyside. Take Eden Hazard for example, he endured separate seven-game and five-game goalless runs in the Premier League while Manchester City pair Leroy Sane and Raheem Sterling also struggled for five games. To compare Salah to out-and-out strikers like Sergio Aguero and Pierre-Emerick Aubameyang wouldn’t be fair to the winger. We’ve come to expect so much from Salah, fans and the media alike, that both the good and bad get blown way out of proportion. Like all good things, the goals will come for Salah if he waits, puts the work in and continues to play his way.